WELCOME TO OUR MICROSOFT EXCEL CONSULTING, PROGRAMING & TRAINING SERVICES. 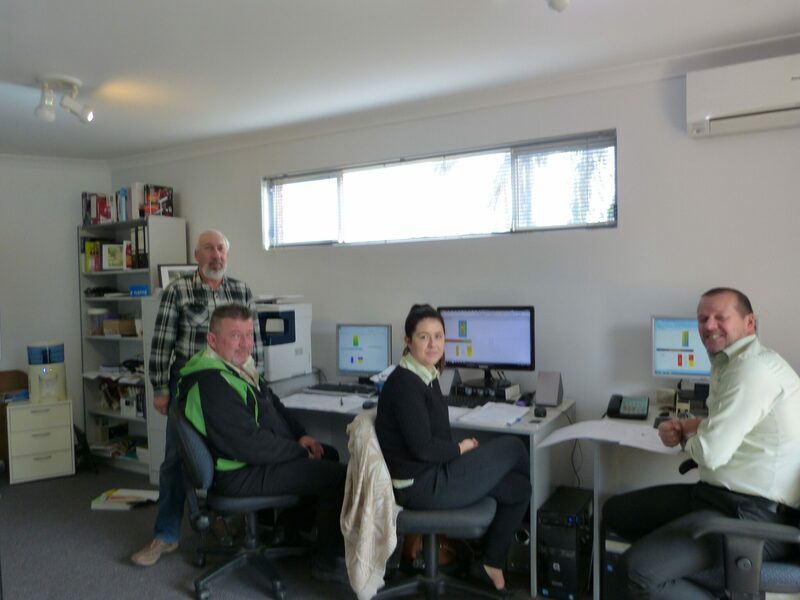 Call Ivor on (08) 9275-9188 to solve your spreadsheet problems. 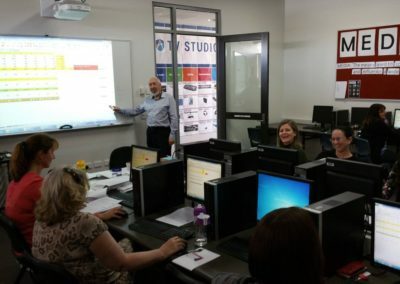 Since 1982 we have helped 100’s of businesses and 1000’s of individuals to master Excel Spreadsheets, throughout Australia. Expert Excel Consulting, Support, Training and Development to assist your Career and/or Business. Excel Consultancy falls under the umbrella of Fast Track Computer Solutions which has been in continous operation since 1985. We have concentrated in Microsoft Office and Office 365 services covering Excel, Word, Outlook, Access, Project, Powerpoint, as well as Primavera P6. 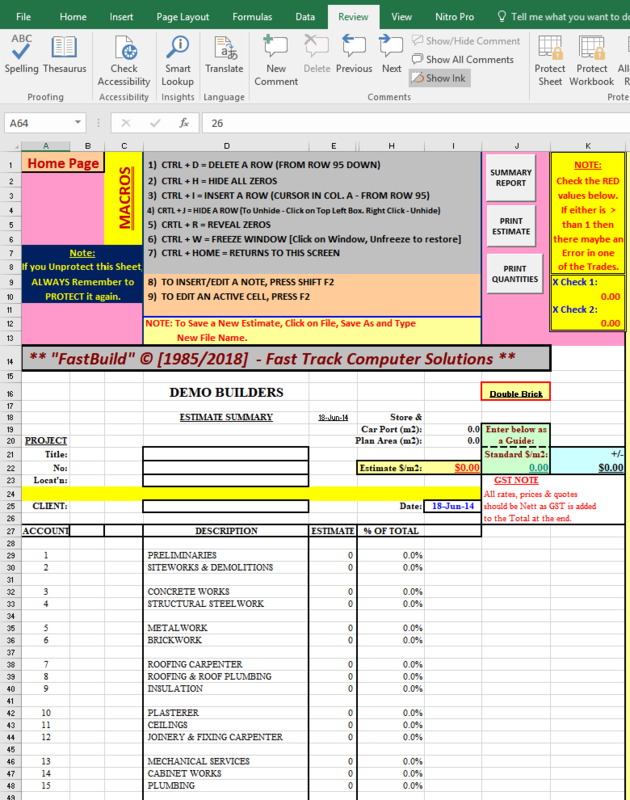 On the right, see our very popular Excel Estimating Solution for the Building Industry, used by 100’s of Builders. 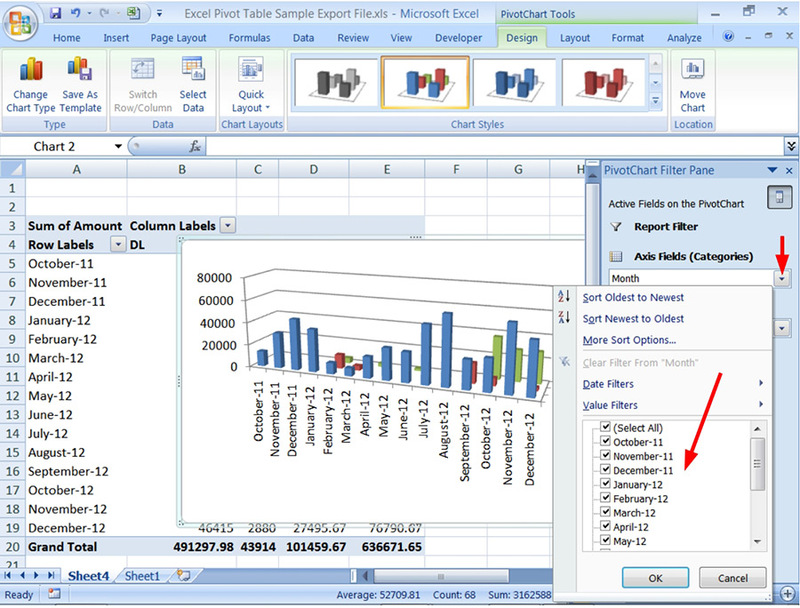 We can troubleshoot and/or improve an existing spreadsheet, or help you build a new one from scratch. Let us show you how DANGEROUS spreadsheets can be, and how to avoid pitfalls that can be very painful. Cashflow * Budgeting * Human Resources * Dashboards * Graphs and Charts * Job Tracking * Estimating and Quoting * Rostering * Simple Bookkeeping * Marketing and Prospecting * Pivot Tables * Event and Travel Booking * Membership Recording * Time Planning (Bar Charts), and many more. Ivor is our team’s Principal and Managing director. He is a trained Quantity Surveyor with a Degree in Building Science (Construction Management), as well as an Accredited Trainer. Ivor has worked with spreadsheets since 1982! 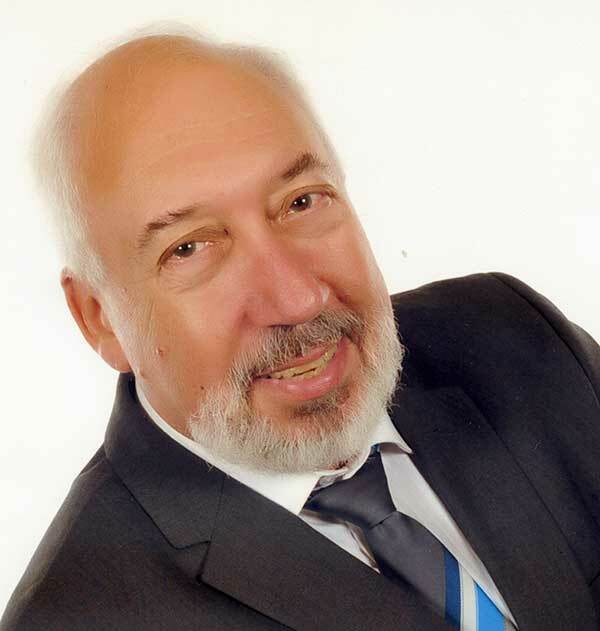 With over 47 years experience in Australia and Overseas, he is well placed to assist your team to ensure that they have the correct up-to-date training in Technology, Systems, Contract Administration, Business Management, and Excel Consultancy Solutions. 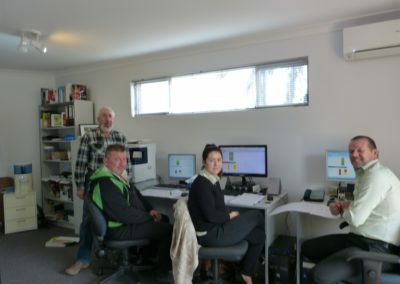 Other team members include three qualified System Analysts/Programmers, and an Administrator. 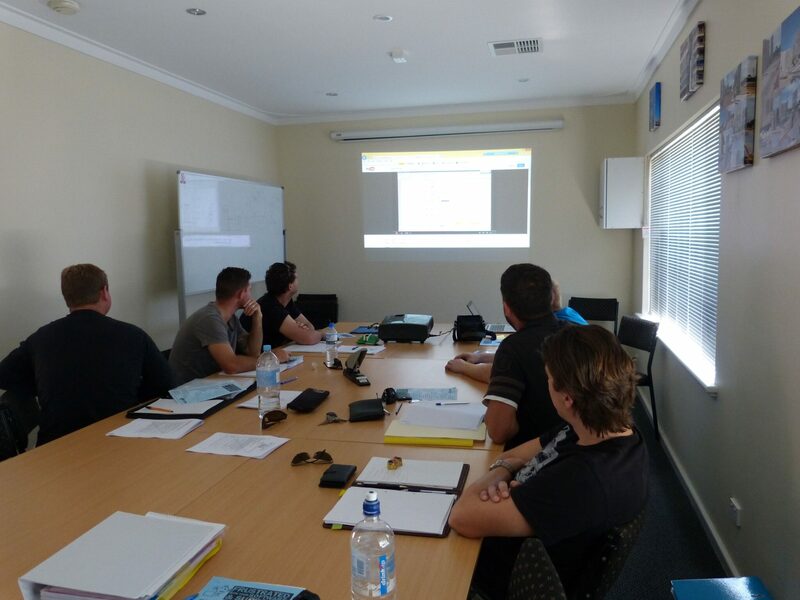 Business Owner, Principal Accredited Trainer and Business Solution Consultant. Come from all walks-of-life. For example, stay-at-home-mums who want to re-enter the workforce, trade persons who want to move into admistration, professionals who want to enhance their careers, etc. We offer Excel Consutancy and 1-on-1 or Your Group training in 2 or 3 hour blocks at any one time. This way you will retain more knowledge, above trying to cram such training in one day. Pet Specialty Territory Manager, Elanco Animal Health. 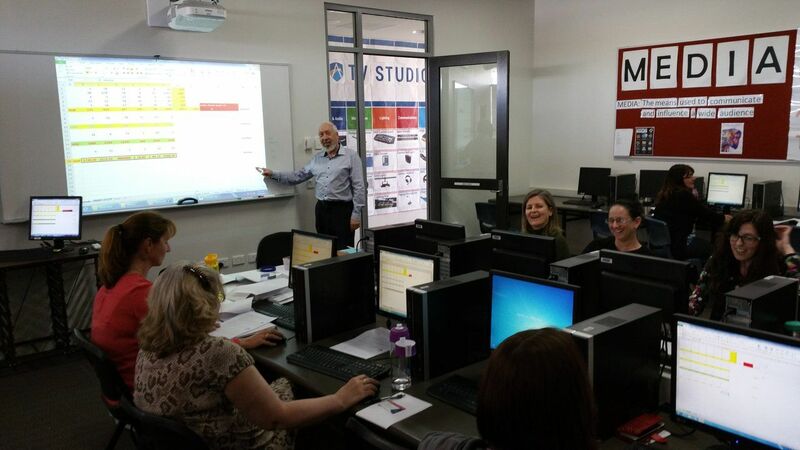 “I had the pleasure of attending an Excel intermediate Training session with Ivor Kosowitz. Please feel free to contact us anytime by completing the form below or using the contact details on the right. Services provided in Perth, Sydney, Brisbane, Melbourne, Darwin, Hobart and throughout Australia and New Zealand.